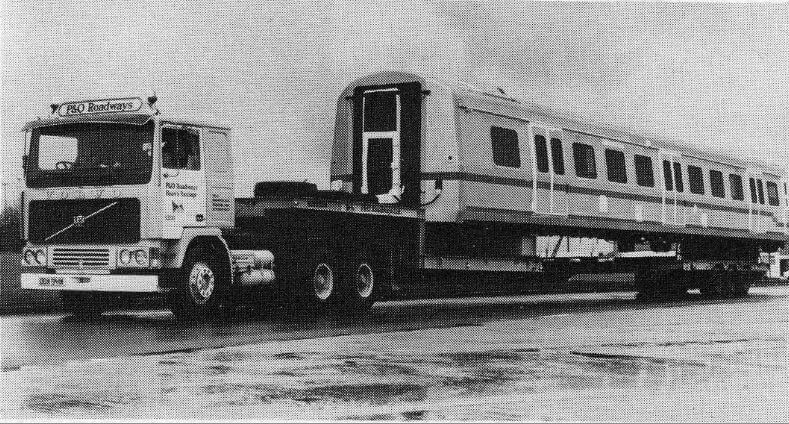 IDJ has sent this photo which was published in the The Railway Magazine of April 1982. It might be read in conjunction with the two articles linked below. This article was first posted on 29th September 2016. This photograph has brought back happy memories.There were two p&o roadways trucks on this contract the one shown was driven by John Groves and Paul Horsborough , the second vehicle was a Volvo F89 driven by Harry Gibbon and myself David Kirby. P&O also sub-contracted to somerscales heavy haulage as well as Pickfords heavy haulage. Love every minute of it.